Hi everyone! 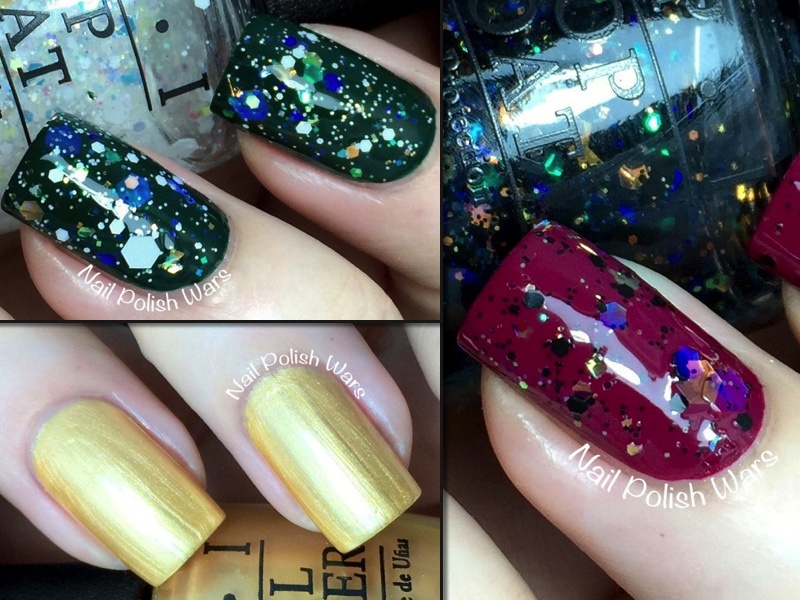 This year, OPI broke up their holiday shades a bit. Today, I have the Rollin' in Cashmere Trio for you. 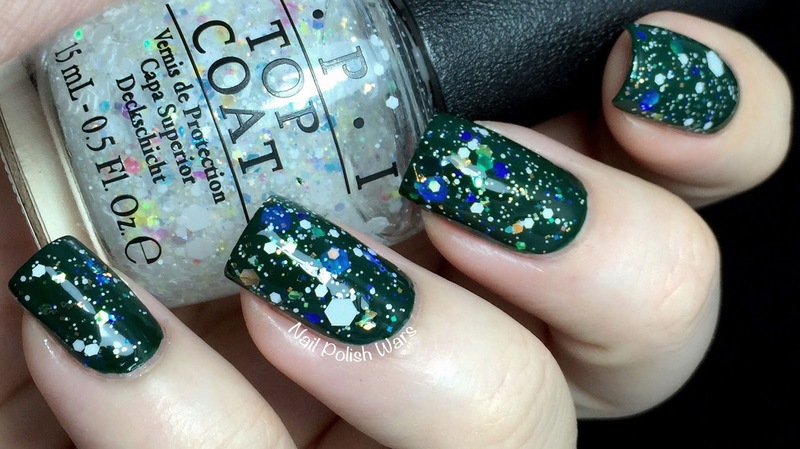 Comet in the Sky is a clear coat loaded with multi-sized hexes in black and sheer iridescent. The formula was smooth and easy to apply. 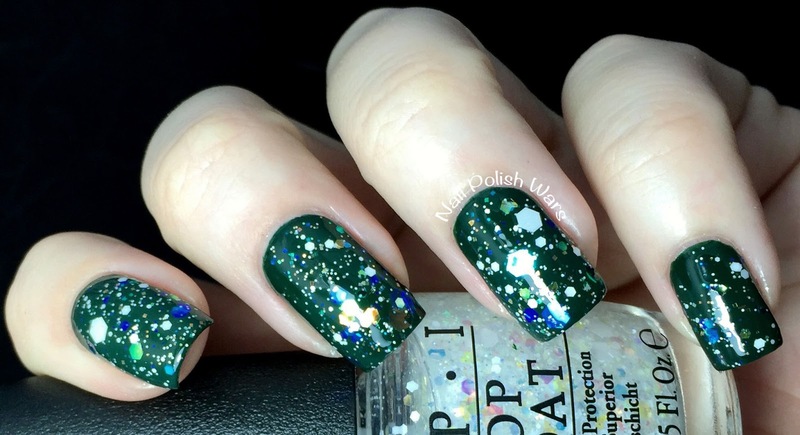 I really love this glitter topper! It is so much fun to wear! 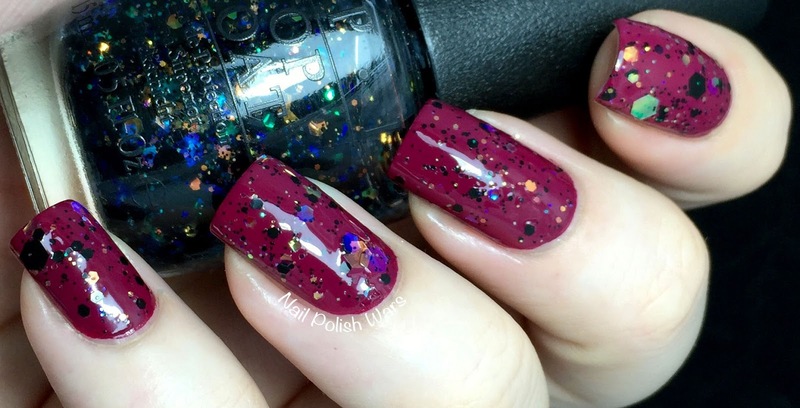 Shown is one coat of Comet in the Sky over OPI In a Holidaze. 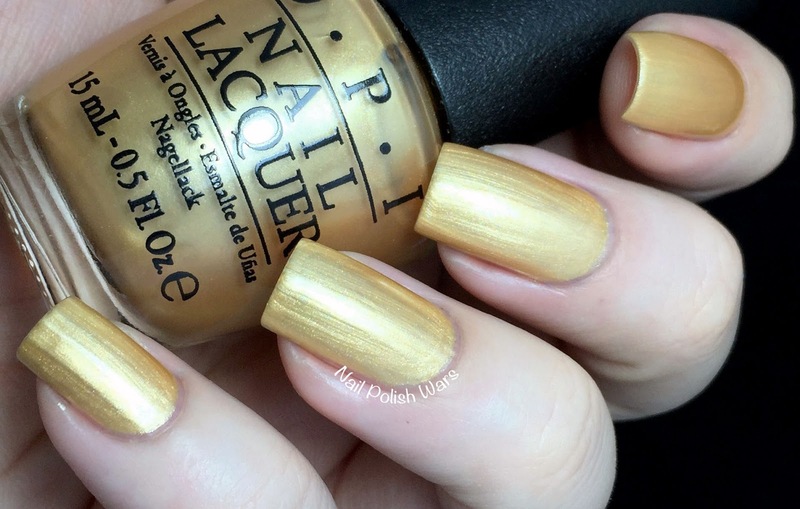 Rollin' in Cashmere is a soft metallic gold shimmer. The formula was smooth and easy to apply. I really like this gold a lot! It has a bit of an understated quality to it that gives it a classic look. Shown is two coats of Rollin' in Cashmere. Snow Globetrotter is a clear coat loaded with multi-sized hexes in white and sheer iridescent. The formula was smooth and easy to apply. 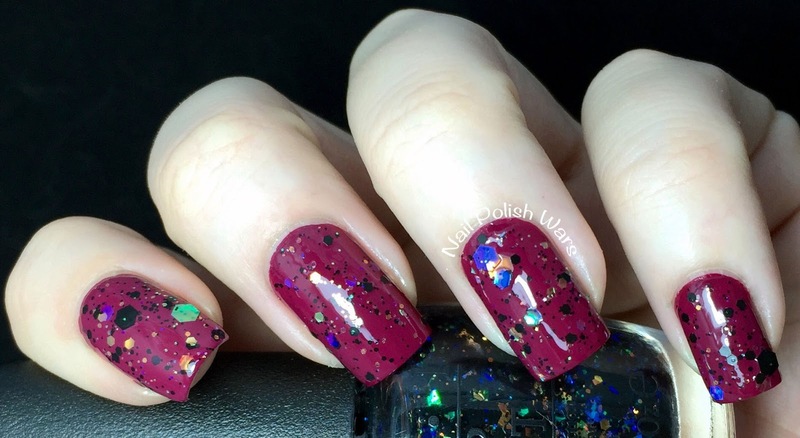 I just adore this glitter! It gives a fun and snowy spark to any base color. Shown is one coat of Snow Globetrotter over OPI Christmas Gone Plaid. I am super excited about this holiday trio! I hope you enjoyed! These are nice polishes but I'm really liking the look of Globetrotter. Such a pretty glitter! I love both of the glitters.